Karl Böhm's only studio version of Der Rosenkavalier was recorded in 1958. When Deutsche Grammophon originally planned to record the work, there were already two rival versions on the market: the Decca recording under Erich Kleiber and EMI's version under Herbert von Karajan. 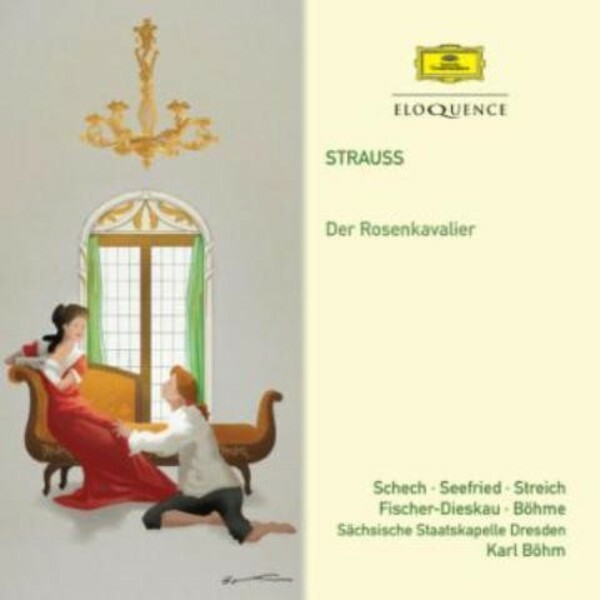 Karajan's recording was made in December 1956 and should have included Irmgard Seefried as Octavian and Rita Streich as Sophie, but in both cases cast changes became necessary: Seefried was replaced by the young Christa Ludwig, and pregnancy forced Rita Streich to withdraw. As a result, Deutsche Grammophon was able to use both these singers for its own recording exactly two years later. It boasts a wonderful cast, with the full-throated Marianne Schech as the Marschallin, Irmgard Seefried bringing a range of colour to the 'trouser' role of Octavian, Rita Streich light and exquisite as Sophie, and a rounded, lyrical portrait of Faninal from Fischer-Dieskau. The recording also reunited Böhm with his 'old' orchestra, the Dresden Staatskapelle, an orchestra often referred to as the 'Zauberharfe' or 'Magic Harp' for the fluent and airborne quality of its sound.